Sales: Please phone for citrus availability and appointments – we ship. In a medium mixing bowl, toss the asparagus, Minneola tangelo zest and sliced green garlic with 3 Tbsp. of olive oil. Season with salt and pepper and spread the asparagus onto a rimmed baking sheet. Roast in the oven until just tender, 8 to 10 minutes. Remove from the oven and set aside to cool to room temperature. While asparagus is cooling, hard boil the eggs. Place eggs in a small pot and cover with cold water. Bring to a rapid boil, then reduce heat to a simmer. Once simmering, cook the eggs for exactly 8 minutes, then plunge into ice water to chill. Once eggs are chilled, peel the shell and slice eggs into 8 wedges. Arrange the roasted asparagus on a serving platter. Arrange the egg, tangelo segments and sliced radish on top. Drizzle the platter the remaining olive oil. Season to taste with salt and pepper and serve immediately. Sales: Customers can come by and pick up pre-orders by appointment only. We also wholesale to other farmers and we offer on-line ordering and local delivery. Products: Satsuma mandarins, Apples, Fuyu and Hachiya Persimmons, Grapefruit, Oranges, and Tangelos. About Us: We are a small family run farm located in the Sierra Foothills where we are located on the Mandarin Trail. Our Satsuma mandarins are not certified organic, however we do not use chemical sprays in our orchard. We use natural pest control when necessary and good old fashioned chicken fertilizer on our trees. We also grow persimmons, both Fuyu and Hachiya varieties, as well as apples, grapefruit, oranges, and a limited number of tangelos. Hours: Please call for hours or appointment. Products: Heritage Mandarins, Navel Oranges, Tangerines, Grapefruit, Minneolas, Valencia Oranges, Meyer Lemons, Blood Oranges, Persimmons, Heirloom Tomatoes, Cherry Tomatoes, Hybrid Tomatoes, Basil, Cucumbers, Summer and Winter Squash, Pumpkins, Soft Skinned Melons, Mixed Cut Flowers, Cut Sunflowers, Cut Fragrant Garden Roses. Find us at: Old Town Auburn Farmers’ Market and Fountains Farmers’ Market in Roseville by Whole Foods. 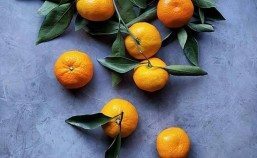 Mandarins available at Echo Valley Feed during Mandarin Season. 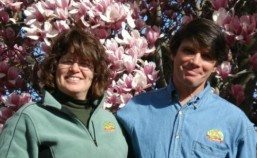 About Us: Steve and Lisa Pilz run the farm, which Steve’s Grandfather, Edmund Pilz, began. Ed began farming in 1927. He farmed many farms in this area. His favorite being Hillcrest. He chose this site as his home. Our farm sits on a beautiful hillside overlooking the Loomis Basin in the rolling hills of Placer County. On clear days you can see Mount Diablo to the Southwest! 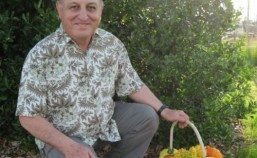 Hillcrest has seen many varieties of fruit trees come and go since 1927. The mandarin trees that Ed budded and planted back in the late 50’s still exist. About 7 acres of vegetables and flowers are also grown on our farm.